The intention of the Artisan Lab at Open Studio 79 is to highlight the process of making and favor interaction and experimentation between diverse means of expression. Handcraft and Art, skills and thoughts converge into physical creations and artifacts. Tatiana Sarasa and Mariana Muravito. Their passion for fibers brought them together to join energies and start a conversation and interact through making. We are looking forward to collaborate with other artisan or artists for future projects. 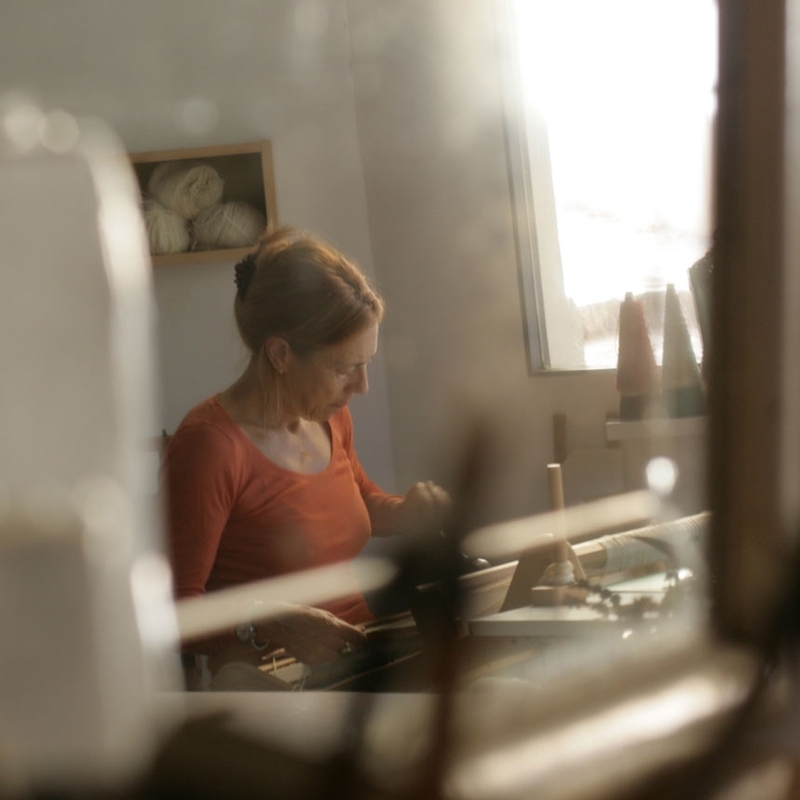 Artist and Maker and botanical dyer. Open to artists and artisan who would like to start a conversation and to create a collaborative project related to fiber or natural colors. Let us know about your idea, send us and email. Open Studio 79 is an open space, with glass windows facing the street. We do not like curtains. We want to give visibility to the ACT OF MAKING.